Every year, tax laws change and certain IRS regulations affecting businesses change too. 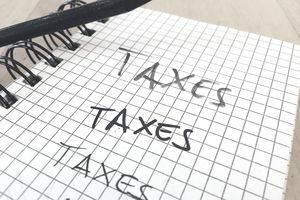 This article describes the most recent changes you need to know about to do your business tax planning and to prepare your business taxes for the current year. Here are the small business payroll tax and other business tax changes in effect for 2018business taxes that you need to know about. Included in this list are changes to the Social Security maximum, IRS standard mileage rates, and new additional Medicare taxes that affect self-employed individuals. Many parts of the Tax Cuts and Jobs Act of 2017 are effective for 2018 taxes. The changes from this law that affect your business are included below. This information is for your business taxes for your 2018 business tax return that you are preparing in 2019. The 2018 tax year ends on December 31, 2018, for sole proprietors filing business tax returns on Schedule C and for partnerships and S corporations. If you are filing taxes for a corporation, your 2018 business tax year may end on a different date, depending on when the fiscal year for your business ends. The dates reflect the changes for due dates that fall on a weekend or holiday. In these cases, the due date for that year is the first weekday. See this article on business tax return due dates for the most current due dates for all types of business taxes (including extended returns). The 2018 personal income tax rates (for pass-through businesses that pay business taxes on their personal returns) have the same levels, but the rates are decreased. The levels start at 10% and gradually increase to 15%, then 25%, then 28%, then 33%, then 35%, and finally reaching a top rate of 39.6%. These rates are in effect through 2025. The 2018 corporate income tax rate is now a flat 21 percent for all corporations, effective with tax years beginning January 1, 2018, and after. These rates are in effect for the entire year for businesses taking the standard mileage deduction. Businesses may decide to deduct mileage using either the standard mileage rate or actual expenses. If you drive less than 50% for business, you probably want to use the standard rate, but if you drive over 50% for ​business purposes, adding actual expenses might be better. The tax rate for Social Security remains the same but the maximum amount of wages on which withholding is based has been increased for 2018, to $127,400. This maximum affects employees and it also affects small business owners who must pay self-employment tax. If a business owner has both business and employment income, the employment income is considered first, then earnings from self-employment. This additional tax must be withheld from employee pay above $200,000. For self-employed business owners, this additional Medicare tax is included in self-employment tax calculations. In addition, also beginning with the 2013 tax year, a net investment income tax of 3.8% on investment income is imposed on higher-income individuals, including business owners. Section 179 deductions. Effective for tax years beginning January 1, 2018, businesses can immediately deduct up to $1 million for qualifying purchases of capital property, with a limit of $2.5 million. After 2018, the limits are indexed to inflation. Bonus depreciation has been increased from 50 percent to 100 percent for qualified property acquired and placed in service after Sept. 27, 2017, and before Jan. 1, 2023. Bonus depreciation is now available for buying used assets.